This article originally appeared in the Spring 2019 issue of VisitDallas The Magazine. To see the entire issue and read other features, click here. THE BETTER PART of my life story has had a connection to Dallas. From years of visiting the area and filming Dallas in the late seventies to coming back for the revival in 2012, it seems I can't stay away for very long. These days, I've taken on the role of official ambassador to VisitDallas - and it's giving me plenty of reasons to come back as often as I can. Photo courtesy of Rosewood Mansion on Turtle Creek. 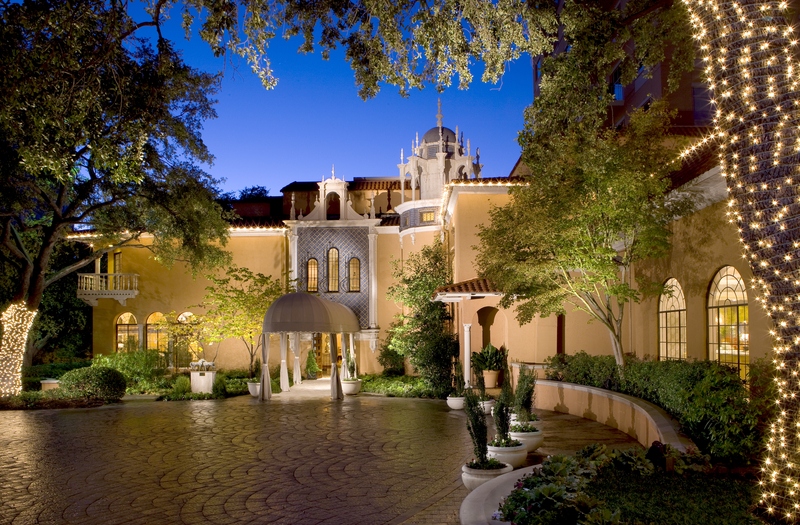 A legendary icon in Texas, Rosewood Mansion on Turtle Creek offers impeccable service and a world-class luxury experience. I have sweet memories of the Dallas cast living here in the eighties and sneaking into the kitchen to taste new offerings from the menu. Over the years, the hotel's intimate ambiance has never wavered and it's often my first stop. I love being outdoors and the shops at Highland Park Village allow me to walk and take in the fresh air, all while visiting some of the most revered boutiques and shops in the world. The beautiful Spanish Mediterranean architecture and twinkling lights make it feel intimate and glamorous. I won't go far for dinner - Bistro 31 in Highland Park Village has long been a favorite, and its French Riviera vibe and beautiful outdoor seating are just some of the reasons why. The Spanish and Italian-in - spired menu changes seasonally, so there's always something new to try. 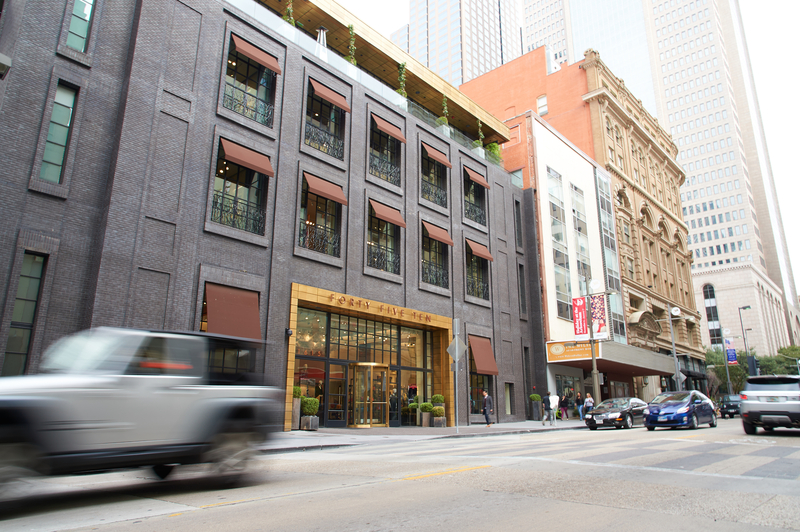 An icon of the Dallas scene, The Library Bar inside the Warwick Melrose Hotel is stylish and unique, and it's no wonder it's often called one of the most iconic bars in Dallas. It's equal parts charming and impeccably chic, and it feels like my own private club. Photo Courtesy of Texas Spice. Start the day strong with a "BDES" - the best damn egg sandwich - at Texas Spice. 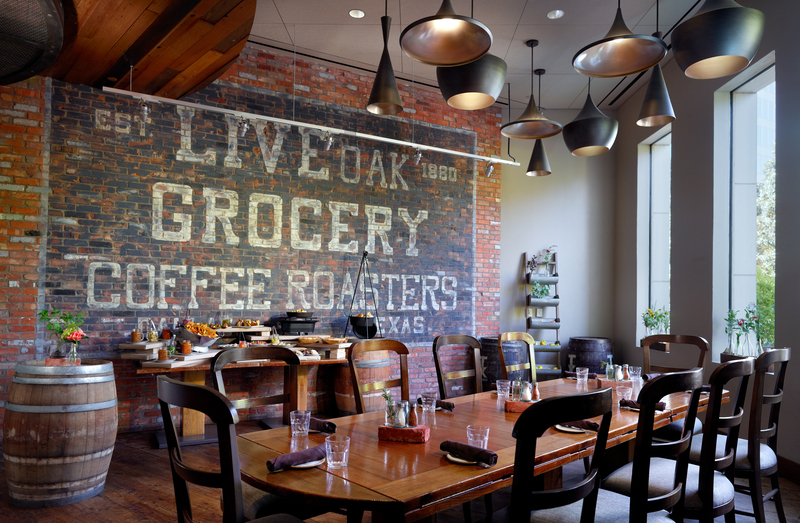 The rustic-chic restaurant inside the Omni Dallas Hotel also offers a $22 breakfast buffet that's fantastically fresh and filling. I'm an amateur architecture buff. Significant and interesting buildings and monuments are a core part of Dallas' identity, and you can see many examples of amazing architecture throughout the city - from art deco to modern. There are several walking tours available Downtown alone, and each allows you to explore the city's beauty and history through various architectural styles. Photo Courtesy Forty Five Ten. Head to the top floor of Forty Five Ten, a beautiful retail haven in Downtown, for a light lunch at Mirador. It's next door to Eye (a giant eyeball work of art), and the restaurant's terrace has great views of the sculpture. Sports are ingrained in the DNA of Dallas and there's nothing better than a lively Saturday night crowd at the American Airlines Center cheering on the Dallas Mavericks or the Dallas Stars. Plus, my grand - children are mega sports fans, so if they're joining me for a weekend in Dallas, you'll find us courtside. Located in Klyde Warren Park, this restaurant was my favorite when I lived in a condo in the Arts District during the Dallas reboot. It's slick, yet laid-back, and offers the perfect place to sip wine on tap and watch the park buzzing with activity. Find Eatzi's, a local European-style eatery, just down the street from the Mansion and conveniently on the way to Dallas Love Field. Get in line at the grill for a made- to-order breakfast burrito or an egg-white omelet.